Our office table is modern and classical. 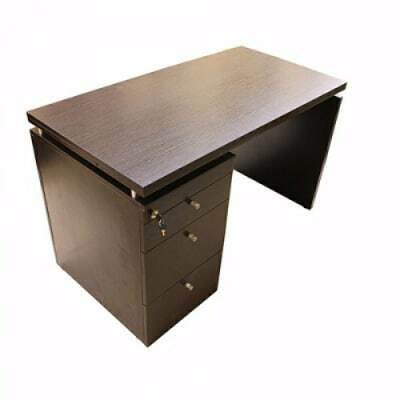 This Executive table is made in dark brown MDF wood. Has 3 attached drawers that will be locked (Center Lock). Perfect for any office space.